I have often been asked why I include owls in my books. It is because I have loved them since I can remember and had, at one time, a picture of me with my first owl. Unfortunately, I have been unable to find this picture though three of us worked frantically to find it in all the pictures we had. The picture is me at 3 years old standing in front of the old console televisions. On top of it stood my prized owl; an electric alarm clock made from ivory colored plastic and stood 6 inches tall and 4 inches wide. The clock was in its belly and I couldn’t wait to be able to put it in my bedroom. Mom said I needed to be a little older and at the age of 10 I was allowed my treasure. The clock was used through high school when it decided it had ran its course. My grandfather was always tinkering and I though he would be able to fix it for me. When I gave it to him I asked him to not throw it away if he couldn’t. He just looked at me as said he’d see what he could do. If he couldn’t get it working again I planned on taking the clock works out and putting artificial flowers in it and keep it forever. Grandpa threw it away as he never believed in keeping anything if it didn’t work. When I got home from school I was ready to go through the trash but it had already been collected. I scoured the internet hoping to at least find a picture of it but had not. That’s how I became infatuated with this marvelous birds. Since then I’ve collected over 100 owls in statute and picture and some jewelry. I even still have a pencil holder and letter holder I received in 1970, and use to this day. My first book, “The Angler and the Owl” features my favorite of all the owls, the barn owl, which has a heart-shaped face plate. 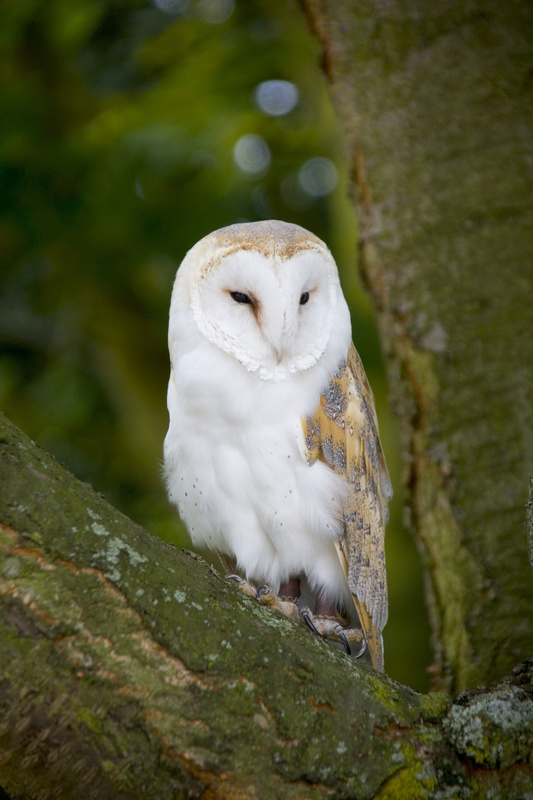 After researching which owls were indigenous to South America I was delighted to find the barn owl was amongst them. The only difference in my story owl and the real barn owl is that my story owl has a light blue heart-shaped ring around its face that has an eerie glow in the dark. My husband had purchased a book “Owls of the World” for me for my birthday two years ago and I spent the whole week reading about all the different owls. There are 254 species and 53 sub-species with some being considered to be added to the species list. I was amazed to find the size differences, also. 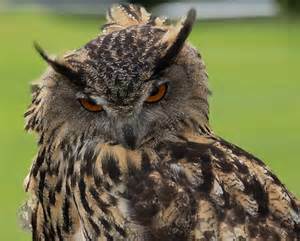 From the smallest, 5 inches (the pygmy owl) to the largest, 33 inches (the Eurasian eagle owl) fascinated me. The book also goes into detail about how each species is designated but I won’t bore you with that. In my second book, “The Owl of the Sipan Lord” I chose the Peruvian pygmy owl as it is indigenous to the Peru and used in the pottery of the Moche people. The Moche lived 200 CE to 600 CE and were the focus of the archaeologists in my story. 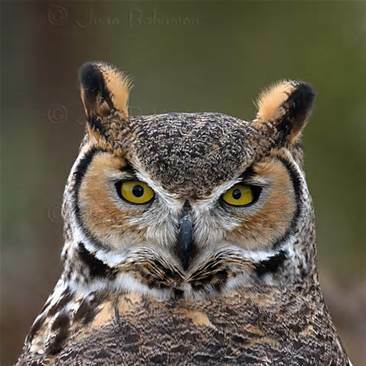 My WIP, “The Midnight Owl”, is graced with the great horned owl, or as most know it the hoot owl. I plan to have that book finished this year. The magnificent birds will always be part of my stories whether they be harbingers of bad news or rescuers in a perilous situation, or anythin in between. That’s the story of my obsession with owls. I have them in every room in my home. Though my husband teases me if I bring another one in he’s leaving, he’s still here. Hi Olga! Thank you for commenting. I’m sure Viv Drewa will be able to connect to your interest very much. I think many of us share Viv’s fascination and love for owls. Whether it’s the stories from when I was a child of them being wise old birds or not, I don’t know but I’ve always thought f them as friendly. Thank you for commenting! 🙂 I’m sure owls have influenced many people’s life too. Glad to know that you could relate. Loved learning about your fascination with owls! Now I understand why you like them so much. I was sad that your grandfather had thrown the clock away though. Great story, Viv. I had often wondered why you were so infatuated with owls. As young boys, my older brother and I brought an injured owl home with us from the local grain mill that we had found. We put him in our barn at the time thinking that he would be safe and would have time to heal. Our parents told us that we should release the owl, but my brother and I were determined that we were going to save it. The following morning before school, I went out to the barn to check on it and was heartbroken when I found that the owl had died. Such beautiful creatures.